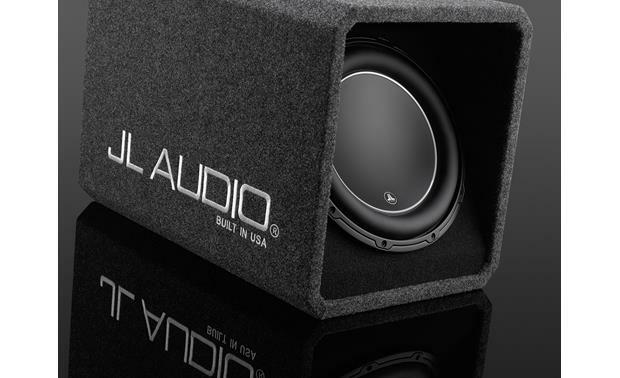 JL Audio built their High Output Enclosures to give you a great combination of high sound quality and powerful output. 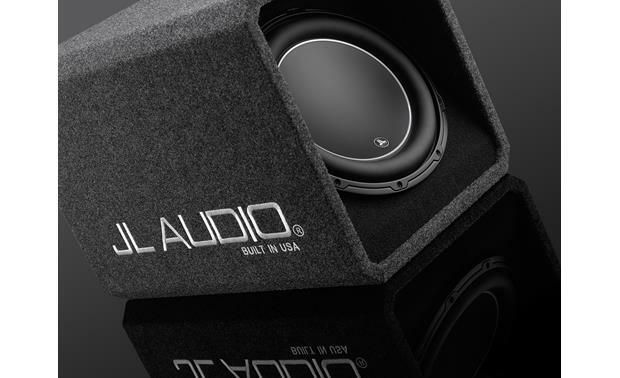 JL Audio built their High Output Enclosures to give you a great combination of high sound quality and powerful output. 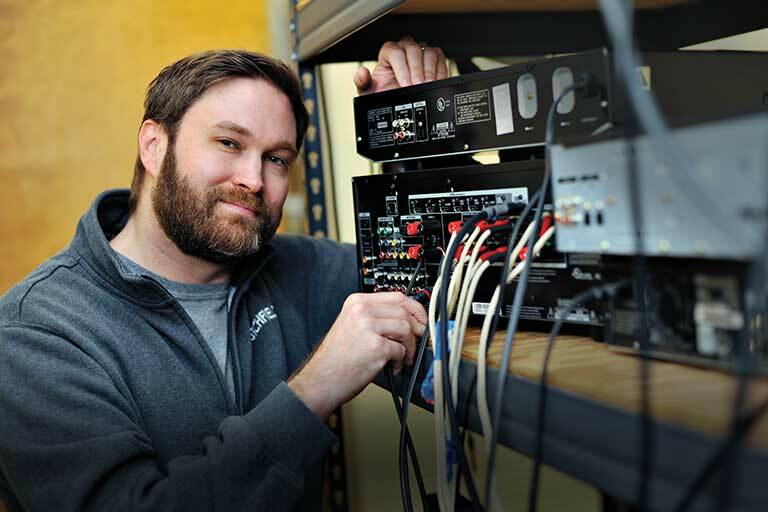 Engineers at JL Audio used a patented chamber-coupled port design to maximize bass production, and this unique enclosure is assembled by hand to exacting standards by the craftsmen at their Florida plant. The HO112-W6v3 is built around the 12" W6v3 subwoofer, which uses its rigid polypropylene cone to push plenty of air for some serious bass output. Extensive venting helps prevent thermal breakdown in the voice coil, so you'll get lasting, consistent performance. The enclosure is wired for 2-ohm total impedance and will handle up to 600 watts RMS. 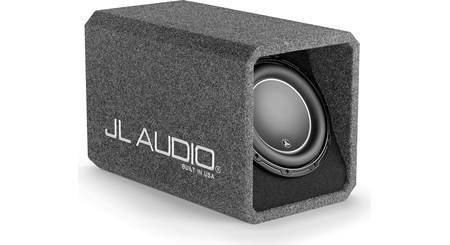 JL Audio makes this enclosure from CNC-cut, industrial-grade 5/8" medium density fiberboard, covered by thick gray carpeting, The recessed mount for the speaker offers protection for the driver; a grille is also available separately for additional protection. 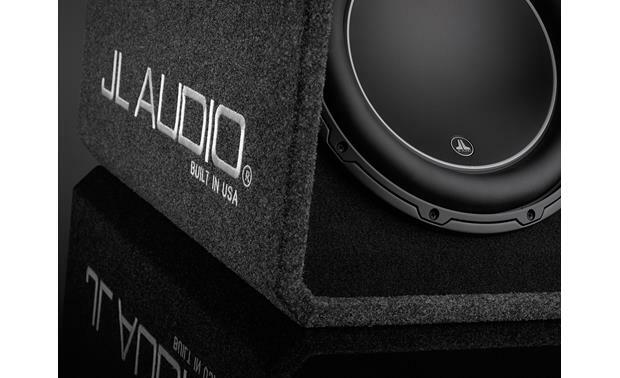 You can never go wrong with JL Audio. Should I buy this or just the woofer and have a custom box made? H.O. 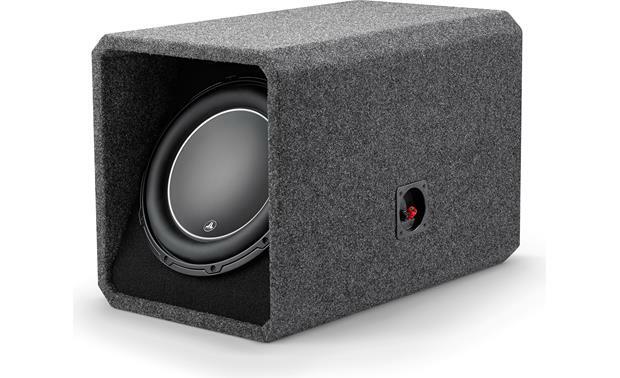 Wedge Enclosure: The HO112-W6v3 enclosure is designed around JL Audio's 12W6v3 subwoofer, using V-groove MDF construction with internal bracing to ensure structural integrity. The patented, chamber-coupled port design wraps around the inner enclosure boundary and terminates just above the woofer, coupling the port output to the woofer's direct output. This also provides the necessary surface area and port length to maximize the performance of the driver. 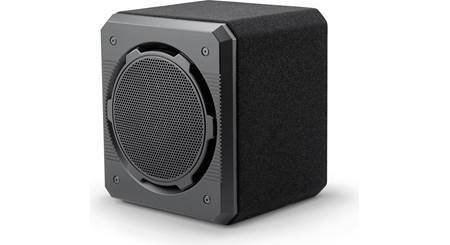 The woofer's dual 4Ω voice coils are internally wired in parallel to present a 2Ω load. Terminal: The enclosure features one pair of 5-way binding posts on the right side. They will accept pin connectors, spade connectors, single banana plugs, dual banana plugs (standard 3/4" width), and bare wire up to 10 gauge. Wil this box fit in a 2018 Honda civic ex? How does this sub pair up with the JX500/1D? Hi. I would think it will be under power because optimum watts for the w6 12 inch is 750 Watts and you will do a disservice to this amazing sub in my opinion. I am using the jl hd750 amp with this sub and it is fantastic. If you want a 500 Watts amp the w3 12 inch sub would be a great choice. My trunk is not big enough but it will fit if I lay it on it's side where the plug and wires are facing up. Is that ok? No problem. Be sure to secure the wire so it can't get pulled out. Yes, it shouldn't hurt it to lay it on it's side. I have mine turned sideways in my 2008 Honda Civic for the same reason (maximizing trunk space) and it sounds/works great. It does not matter. Bass is Omni directional..... you can point it anywhere. Tweeters are unidirectional and have to point directly to the listener. What frequency is this HO box tuned to? I will be powering it with a JL 500/1 and wanted to dial in the bass EQ built in, but wanted to match the boosted freq with the tuning of the box output. Thanks. The box is perfect for the speaker. 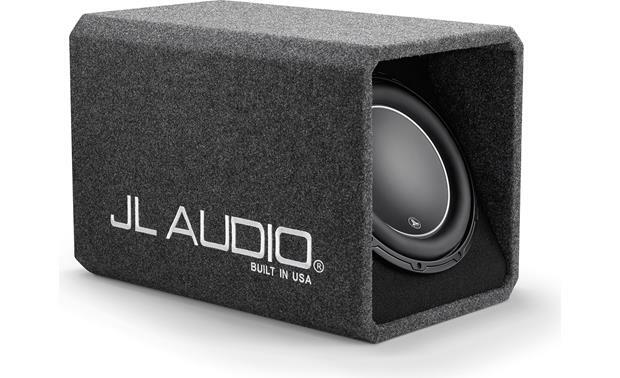 Unless you have a sound lab and a program that matches speaker to enclosure cubic feet air space and have time to experiment with different size boxes, I would just buy it and be done. I love my JL box. I have had the w6 in a generic box ported and sealed as well as in this box. No comparison. 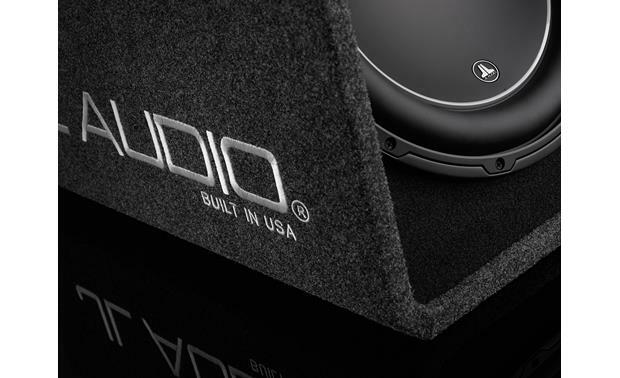 What ever space age technology went into designing the sound from this box is impressive. Very clean, thick and powerful bass. I would definitely recommend going with the JL box. Dimensions are 14-3/8"W x 16-1/4" H x 23-7/8"D. You can find this information on the product page under "Product Highlights". Hope that helps. Does the cs212gw6-v3 come with mounting brackets? It does not look like there mounting brackets included in the box. 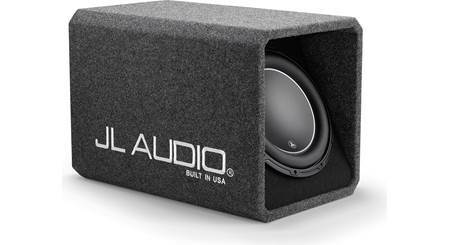 Compared to the cs212gw6-v3 (2 12 w6 sealed) is the bass worth putting out another $500 bucks? I did many sound comparisons and sound is something that you hear and not see. When I get overwhelmed with a sound, I go for it. 100% satisfies with mine. Oh yeah it's worth the money. Quick answer, yes. I would double the amplifier output to get full benefit. Run at least 1200 rms total for both drivers. I originally had the single sealed hooked up to an alpine mrx110 1100 watts rms, then moved it into a ported box. Definitely louder but not lower. 2 drivers would definitely do the trick as far as spl goes (still a compact package) and in hindsight thats what i shouldve done. Im always wanting more bass. 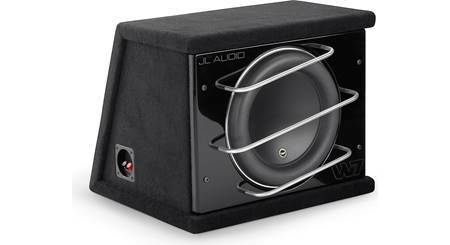 Searches related to the JL Audio HO112-W6v3 High Output Enclosure with single 12" subwoofer.